DAS is at capacity, and is waiving adoption fees. Do what your heart is telling you to do. This is Mickey. He could sure use a new home. Photo courtesy of Dallas Animal Services. 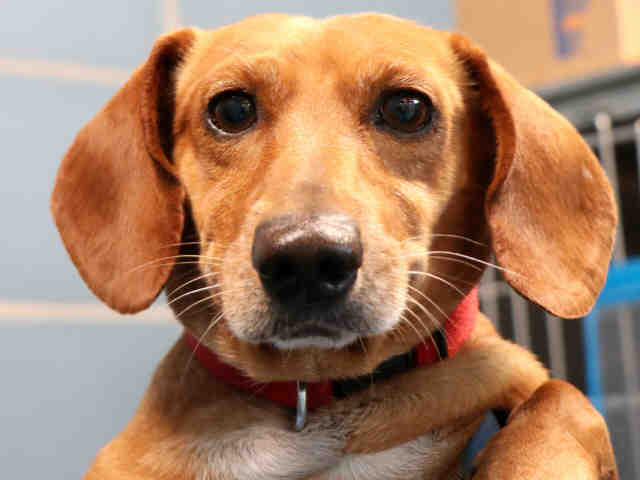 With all respect due to the contestants in our Cutest Pets in Dallas showdown (winner announced Friday), you’ll find equally adorable animals and maybe even truer companions at Dallas Animal Services this week. Good thing, too, because the shelter is full, and is waiving adoption fees until further notice. DAS presently has about 700 animals up for adoption, including kittens. If you can’t adopt, even fostering a kitten for a little while—the shelter’s cat capacity is at 134 percent—could make a significant difference. But why wouldn’t you adopt? Do you see that picture of Mickey, an already neutered Daschund just looking for a loving family? Please save Mickey. You can adopt a pet at the main adoption center at 1818 N. Westmoreland Road or at the PetSmart Everyday Adoption Center at 16821 N. Coit Road. Hours and more info here, on the left side of the page. And if you’d really like your heartstrings to be pulled even tighter, you can scroll through pictures of the animals up for adoption here.